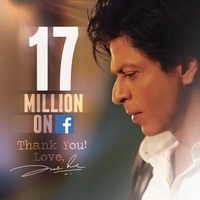 SRK has 17 million likes on Facebook!! This was a blessing for me to see this on my birthday. One of the best Birthday gifts I ever got!